Does music have a purpose beyond aesthetic enjoyment? A societal purpose? We know that playing music enhances the person, his intellect, his awareness. And we also know that even experiencing music can greatly benefit the quality of life a human being. The playing and "consuming" of music actually does help the economy directly, etc. The direct benefits can be easily tracked and staticised. 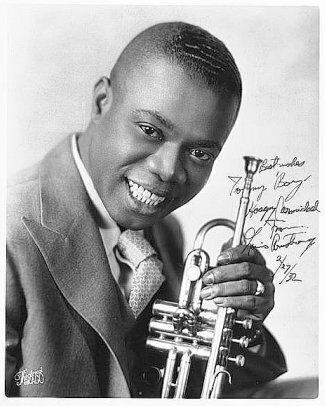 On the evening of October 12th, 1931, Louis Armstrong opened a three-day run at the Hotel Driscoll in Austin Texas. Among those who paid 75 cents to get in that night was a freshman at the University of Texas named Charlie Black. He knew nothing of Jazz. Had never even heard of Armstrong. Who was already considered at the top of the list of famous jazz musicians. Charlie just knew there were likely to be "lots of girls to dance with." Then, Armstrong began to play. “Steam-whistle power, lyric grace, alternated at will, even blended," Charlie Black recalled. "Louis played mostly with his eyes closed; just before he closed them they seemed to have ceased to look outward, to have turned inward, to the world out of which the music was to flow." "He played mostly with his eyes closed, letting flow from that inner space of music, things that had never before existed. ""He was the first genius I had ever seen...The moment of first being, and knowing oneself to be, in the presence of genius, is a solemn moment; it is perhaps the moment of final and indelible perception of man's utter transcendence of all else created. It is impossible to overstate the significance of a sixteen-year-old Southern boy's seeing genius, for the first time, in a black." "You don’t get over that. You stay young awhile longer, with the hesitations, the incertitudes, the half-obedience to crowd-pressure, of the young. But you don’t forget. The lies reel, and contradict one another, and simper in silliness, and fade into shadow. But the seen truth remains. 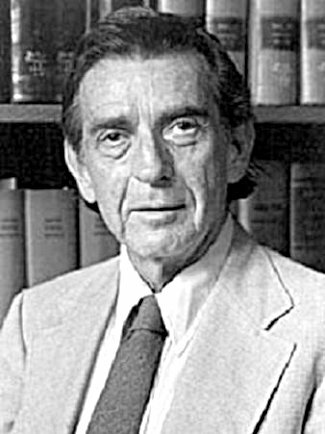 Charlie Black went on to become Professor Charles L. Black, a distinguished teacher of constitutional law at Yale. In 1954, he helped provide the answer to the question Louis Armstrong's music had first posed for him. He volunteered for the team of lawyers, black and white, who finally persuaded the Supreme Court, in the case of BROWN vs. THE BOARD OF EDUCATION, that segregating school children on the basis of race and color was unconstitutional. "I'm going to close by telling of a dream that has formed itself through the years as I, a Southern white by birth and training, have pondered my relations with the many Negroes of Southern origin that I have known, both in the North and at home. "My dream is simply that sight will one day clear and that each of the participants will recognize each other." I feel that the above is but one of endless examples of the power of music to transform the very being of any and all individuals. To transcend a person from being mundane, unaware and "normal", to being one of the enlightened, compassionate and courageous - and, as in this case of this famous Jazz musician - without the even the overt intention to do so. This, then, is one of the true powers of music: to bestow beauty and humanity to both the creator and the listener. Get the definitive documentary on the origin, development and creations of the famous Jazz musicians who created "America's Classical Music" -- Ken Burns' inspiring documentary: "JAZZ"
The Music Education Blog -- News and vital info on music education and resources for all teachers, students and players of music. MUSIC AND INTELLIGENCE - The Power of Music -- How related are MUSIC and INTELLIGENCE? Derek Paravicini, Rex Lewis-Clack, and Matt Giordano show us the answer. ABSOLUTE PITCH [Perfect Pitch] - We all have it. How do we develop it? -- Find out. 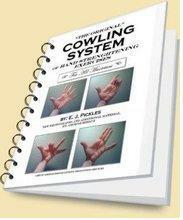 AND: How to REALLY improve your musicianship, starting with your own hands!